How did you start in Wedding Planning & why? Born and raised in Berlin Germany, I created many events throughout the world. Having lived in many different countries, I have been fortunate enough to experience the vast differences in cultures, and wherever I was at the time, I created events. Settling in Perth Western Australia, together with my husband, we raised 3 gorgeous children who have their own unique ways and talents. In 2005 Cathrin D’Entremont Weddings was born creating a boutique experience for my couples. I have truly enjoyed my journey so far, love my clients and working with so many talented and inspiring people. Why do I like to be in this crazy event business? Seeing all the elements coming together and sharing for a short period of time the moments of joy with my couples and their family’s is truly priceless. 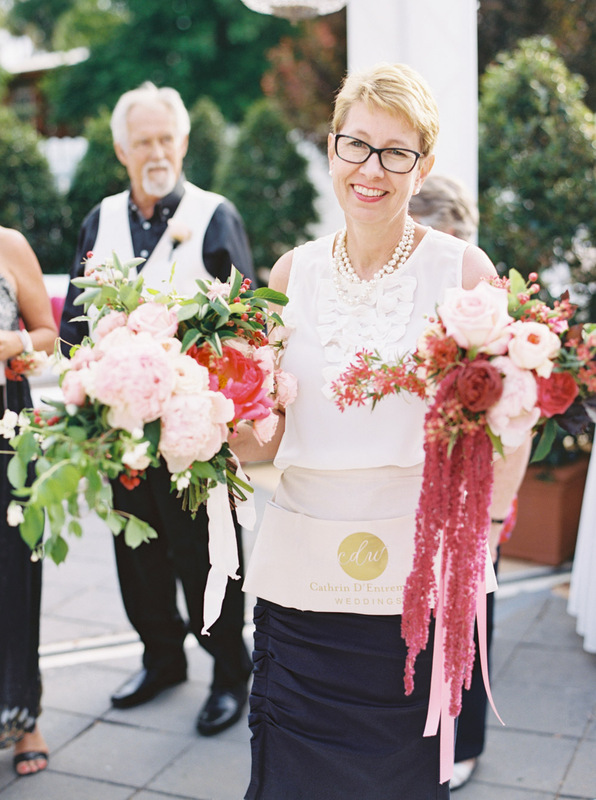 What is the best part of being a wedding planner and stylist? With every wedding being so different, telling my couple’s story by implementing their personal views and style, seeing all the elements we planned come together in harmony, is the best part of being a wedding planner and stylist. Meeting interesting people and learning from the cultural diversity has been defining my journey in life. What's the best advice you'd give a bride-to-be? Do not lose sight of what this is all about. Have a budget and keep to it. It doesn’t have to be perfect and with the social media, one can quickly get overwhelmed. Stick to your heart and create the wedding you both want. Keep a ring binder with all your vendor contracts and inspirational photos and take it to every meeting. Create a timeline for all your vendors involved and your bridal party. It helps to keep the day in order and everyone will be on the same page. Most importantly, enjoy your planning journey. Do you think brides can have their dream wedding on a budget, and how? Of course! Engage talented family members and friends for help. For example, if a friend can make the wedding cake and if an Aunt can sew the bridesmaids’ dresses, that is already a great saving. Keep your guests list to the bare minimum, create your own playlists on your iPod instead of hiring a DJ, have your wedding cake as dessert, masses of candles instead of flowers at the reception are just a few suggestions. What are your expectations from taking part in the Exotic Wedding Planning Conference in Dubai in early April? I am looking forward to meeting talented like-minded people and learn from each other. Every country does weddings differently and I love to hear their stories. It helps me to personalize weddings for my couples with different cultural backgrounds. Looking forward to making some great connections.